Today I’m sharing with you our new five-year plan – ‘Stronger Co-op, Stronger Communities’. Note: We know you can’t view videos in store – please search for Co-op Colleagues on YouTube or read the transcript. 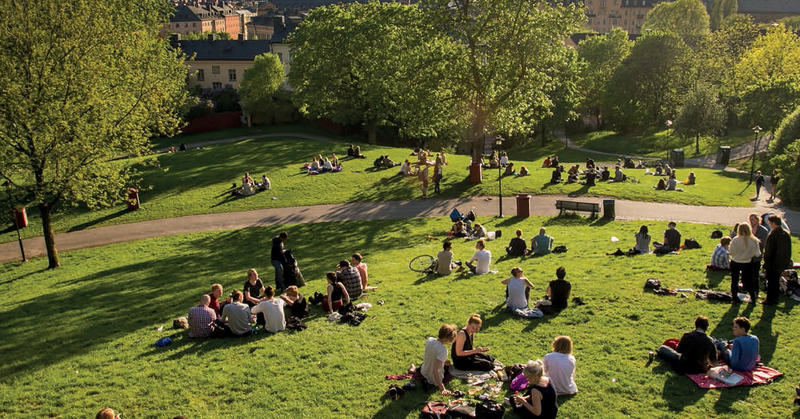 We’re going to grow Co-op and make the communities we serve great places to live. We’re standing tall again, proud of who we are and ambitious for our future. This is the start of a new golden age for Co-op and the whole co-operative movement in the UK. People are crying out for us. Our plan gives us a growth agenda which is bold and brave, but doable – with your support. We’ve made incredible progress over the last few years. We’ve fixed many parts of our organisation. Membership’s back at the heart of our thinking. We’ve re-branded. And we’ve restored pride in Co-op for our colleagues and members. Over the last few weeks, our brand has been at the centre of lots of media stories – from modern slavery and loneliness to our amazing performance over Christmas. We’re back and we’re relevant. We all know there’s important operational things we still need to fix – and we’ll do that – but we’ve got to a place where we can think big again. We need to be competitive and innovative. We need to invest more in the businesses we have now. And we need to open up new opportunities where Co-op can make a difference. Our five year plan includes all of this, and more. A great Co-op is a commercially successful business that creates real value for its members. And the more successful we are, the more value we can create. Our Co-op rewards, the thousands of community causes we support, our campaigning on things that matter to our members, our Academy schools and apprenticeships, the great products and services we sell, all create Co-op value. But at the moment, there’s a gap in the circle. Our Co-op difference still isn’t cutting through in the way we need it to. The more members and customers can see our difference, the more they’ll choose Co-op. We’re going to close the gap. 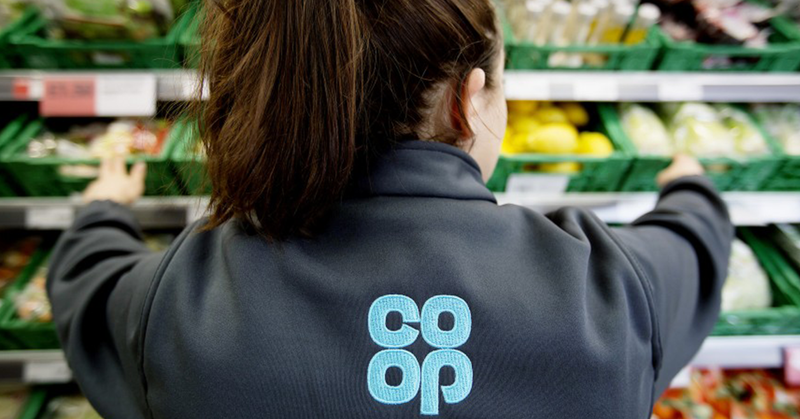 From today, we’re going to be ‘One Co-op’ – in how we think, act and talk. No more ‘Group’ and ‘business units’. No more ‘them’ and ‘us’. No more duplication in how we do things – we’ll do things once and do them well. We’ve created a new smaller group of Co-op leaders who’ll be responsible for making our Co-op plan happen. They’ll be able to make decisions quickly so we can respond in our fast changing markets. We need to invest to grow, so our businesses have the fuel they need to succeed. That means becoming much more efficient and agile in how we work – taking cost out of every part of our business. We’re going to do this in three ways: changing how we’re organised, better procurement of goods not for resale, and by creating the new Co-op Service Centre that will support all of our businesses. Much of what we’re planning is just good business logic. The magic is how we’ll support our communities. In Food we’ll succeed by getting closer to our customers – where they are, what they need, what they care about. We’re investing hard in cutting prices, starting with a £50m investment last week and there’s more to come. We’re going to carry on opening new stores, using technology to make shopping even more convenient. And Costcutter and Nisa (once we’ve got regulatory approval) will mean we can reach even more people. In Funeralcare we’re the market leader, but we want to lead the market. We’re keeping a strong focus on making things affordable, investing £50m over the life of this plan to hold prices at current levels. We’re doing some really innovative things with the packages we offer to meet changing consumer demands, and we’re investing in outstanding facilities. Our new digital systems will set a global benchmark, and allow colleagues to spend more time caring for families. Life Planning & Legal is now fully joined with our Funerals business, so we can provide a joined-up service to our members and clients. Our funeral plans are already award-winning, highly competitive and uniquely Co-op. 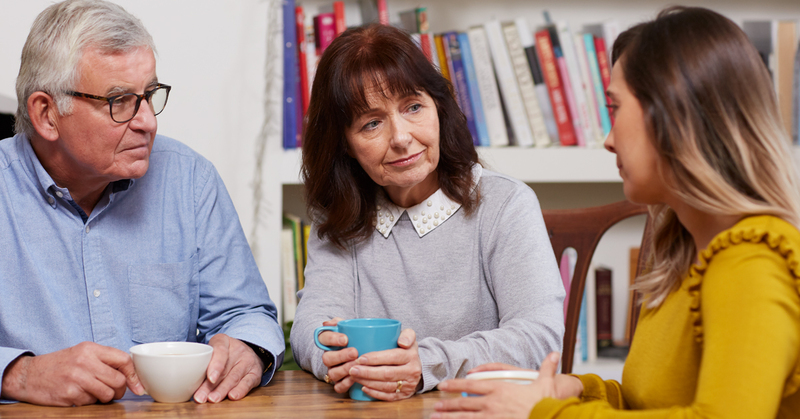 We’re going to focus on growing our market share in Probate, offering help to bereaved families 24/7 online, over the phone and face-to-face. We’ll partner with others so we can offer a wider range of products to more people. Insurance is back on its feet and we’re going to make big improvements to our competitiveness and expand our product range. We want to meet more of the insurance needs of our members. Our new ground-breaking Travel insurance – launched this weekend – is an example of how we’ll to do that. We’ve developed a unique product by listening to what our members need and working with a partner. We want our Digital team to keep strengthening our existing businesses, but we also want them to start exploring new businesses. So we’re setting up ‘Co-op Ventures’. Ventures will be where we do the thinking, testing and development of new ideas. We’ll focus on opportunities to grow that don’t need a lot of investment up front. We’ll generate ideas and test them out so we know they make good commercial sense, as well as creating value for our members and their communities. Watch this space. As always, you – our colleagues – are central to everything we do. I know it’s been tough at times, but without your dedication we wouldn’t be where we are now. We want you to get the recognition you deserve, so we’re improving the pay of our front-line colleagues in stores. Starting now. Monthly double discount is back. And we’re going to be introducing some great initiatives to support colleague health and financial wellbeing. We’ve just launched our first all Co-op colleague awards to say thank you to those brilliant colleagues who really bring Being Co-op to life. Please get nominating at coop.co.uk/thankyou. Here’s to a Stronger Co-op and Stronger Communities! I work in a store which has been at the heart of the community for longer than I’ve been around(and that’s almost 30years) I see us investing in buying new stores and buying up other companies but my store has the Co-operative Look from 11 years ago. The store is grotty looking, there is only so much we can clean it. Even the customers generally ask “when will you get to look like the new store on the other side of town?” Its disheartening to work for a company that seems to chase “New Money” rather than investing in some of its oldest and quite profitable stores. (we are only 810sqft and do better than most of the newly opened stores). I keep living on a promise of our store being refitted every year and then hear of new stores being opened. I’m proud to work in my Local Co-op, I know more than half my customer base as I used to even live above the store when I was a nipper but I don’t feel like I can say it loud with a store that looks like this. As part of a stronger Co-op can we put some effort into fixing the basic services we should be offering each other as colleagues? The room booking system is down again and we are so poorly served by IT that we still don’t have a way of seeing insurance colleagues’ busy time in Outlook, nor do we receive their acceptances to meetings via Outlook calendar. I do read all your comments on here and would love to respond to everyone but other demands mean I can’t always do that. The five-year plan is an important moment for us so I did want to come on here myself and just say that I am listening. I can understand people saying – ‘here we go again, it’s all just words and no action’. Actions are what you’re all looking for, and so am I.
That’s why I talked a lot about us being ‘agile’ – working fast, trying stuff out, learning from our mistakes and moving on quickly. That’s not agile in the strict digital sense. But I hope you get what I mean. There have been too many barriers in our colleagues’ way – long-winded sign-off processes, different businesses making different decisions about the same things, colleagues (through no fault of their own) working against each other rather than with each other. I want that to change, like you all do. It’s why we’ve created a group of 35 Co-op Leaders whose job it is to make decisions fast and take more responsibility for doing things better and helping us grow. Getting rid of the ‘treacle’ (a word that will now define me!) – the duplication I talked about – is about making sure our Support Centres are in the best shape to serve our front-line colleagues (the people giving amazing service to customers and clients every day). As I mentioned we’ll be setting up the Co-op Service Centre straight away and there’ll be more communication on what that actually means very soon. On the other changes we need to make – the truth is we’ve still got a lot of detail to work through, it will take time but I want us to start work as soon as we can. I’ll be out on the road talking to lots more of you over the coming months and will be able to answer some of your questions face-to-face. I’m serious when I say that you’re at the centre of everything we’re trying to achieve. When I became Chief Exec, one of my main aims was to create a great place to work for every colleague. That’s not changed. Disappointing how little information has been provided in response to the 32 Qs on here so far. I know people like Rachel and the others in the comm team do their best but they can only work with what they’re given. We also know that if Steve and his team didn’t factor in time to respond to questions in their planning it is going to be difficult to get them to adjust and respond. None of this activity in response to the posting is a surprise, the surprise is the really disappointing lack of consideration being given to our thoughts and comments despite Steve’s call for feedback in his original posting. I don’t expect he’ll come on here to respond to this comment either ! Simply Thank you Steve and all those involved in the Vision for Co-ops future for remaining true to your visions with still the same Passion Energy and Persistence and above all Love. Even though we have experienced tough times and tough times going forward will be inevitable. The Bugler’s simple message is ringing true. Creating Energy and momentum. Co-op is bigger than just a business its Wonderful People trying to do wonderful things . PROUD to be Co-op as always. “Enterprise Leader and Co-op Leader” ? I’m a bit confused – are these two different classes of leader? How is this streamlining the organisation to create a new level in the hierarchy? Cant wait for this year of change ! Go Steve!! My only concern is the investment in technology. This has to be funded and often leads to a reduction in colleague hours in stores. The customer suffers and then it goes downhill. I’ve witnessed this firsthand as I worked at Tesco in their prime. Technology doesn’t give personal service. Once you put too much on colleagues they will leave as the pressures placed on them is not worth it. Please don’t see this as negativity, I’m proud to be employed at the Co-op. I’m proud of how I lead my team and the achievements we have made together in the last two years. Will we still be the same team with the continued efficiency savings? I very much doubt it, as part of the management team I’m spending more and more time on a till and not getting my jobs done. You can’t run a store on goodwill forever. can’t wait for my i pad on the shop floor then??? Loss of jobs for support workers in the “old” service area ? ? Where is the new Coop service centre going to be based? How can we find more about this and what opportunities this may bring? Its about time. We are now beginning to realise the value of true co-operation. By behaving in a co-operative way on the inside we can become what our members, customers, communities and society in general needs us to be. There will be no stopping us. But……..this will require a fundamental shift in the way work and operate and that won’t be easy. A challenge, but a welcome one with a huge prize to go after. Bring it on. One Co-op sounds like a call for Unity to me. Sounds brilliant to me. Will there be bonuses this year? I agree 100% we need to be 1 co-op. Ironically, before I joined the CO-OP I thought it was 1 CO-OP but when I joined 5 years ago I saw the MultisocietyMulti standard mentality. and the 5% /1% which I believe is absolutely brilliant, being only available in ‘Group’ stores. how long will it take to get this initiative down to grass root shop floor level? and how will it affect the boots on the ground? Again, brilliant idea, and about time too! I disagree. There is no reason why there should be a forced end to independent societies. Some focus their energy and charitable efforts in the local communities more effectively. Some are better at what they do than we are. Some actually pay the divi each year (which we got rid of a few years back). If a society wants to merge with us great, if they don’t well that’s great too. A constant need to merge and aquire at all costs will lead us back into the horror that we faced back 5 years ago. Hi, co-op colleagues. I think you may have misunderstood my words. I was responding to Steve’s impression(the comment I replied to) that he believed all the different societies already were one entity but that he later discovered they are not, and that he wants them to be so. So that all food stores accept the 5%/1%, not just “our” i.e group stores. While the this article is about bringing our different businesses in the group together which is great. I was simply trying to clear up that it did not mean taking over independent societies as Steve thought. We’ve heard a lot of this before. However there’s a question that we can’t seem to find the answer to…where are the Talkback results ??? The last we heard anything mentioned about them was before Christmas. We were basically told the results weren’t great so we’ll release them after Christmas. A month later and still nothing. You can’t ask the questions if you don’t want the answer. If poor feedback was received on members of staff on the ground we’d be pulled in and the issue dealt with…but because the poor results were on management – you sweep it under the carpet ?? Yes I saw that release in November and watched the video from Steve. We are talking about the individual scores for our regional area – being Northern Ireland. No one here has mentioned anything about the release of scores in February and with a senior member of management sick and the moment no doubt they will attempt to kick this further down the road. strong statements need to be backed by strong actions …. personally, I joined the Coop because I believed in it – to find it was not the Coop I though it was has vexed me for some years. fingers crossed the leaders of this business are going to lead. The cynical ones amongst us who have worked through the debacle of S3 and various other streamline Initiatives wonder how many hours the stores are going to lose this time in the name of efficiency? And perhaps before rolling out future initiatives they could try running the trials in stores around the country that are not normally used for trials. Let’s hope what looks good on paper actually benefits the stores, employees and customers alike and not just the bottom line. S3 was fantastic in our store, gaps take 1/10th of the time, we can get things quicker for customers if needed. We are able to keep single bottles separate from our wine room which means whole cases are visible, all in all s3 just made our lives easier, yes we lost some hours but for how much it helped it’s a good trade. Need to see action, or it’s just a load of words. I will wait and see. I’m so proud to be Co-op. Thanks Steve! I’d love a copy of the slides please – where can I get one? Help me understand, help me follow. You mentioned that you wanted to see a cohort of “general managers” who would build up experience in different parts of the business. You listed food, then funeralcare, then GI. Why didn’t this career path include a requirement to understand the impact of digital on our environment? It’s something that’s making a huge impact everywhere and I would have thought it was vital for our future “general managers” to spend time working directly on it? Amazon Go their convenience store that is cashierless (not personless though) is the obvious headline example. You talked several times about the need to “be more agile” as an organisation. You didn’t give any examples though. How do you define “agile” ? It can be defined as “aligned autonomy” What role do you see for the agile manifesto and the 12 agile values in your ambition to make the organisation “more agile”. How can I find out more about “agile” at the Co-op? Since I joined the Co-op in the middle last year the biggest issue I’ve seen is the entrenched silo’s across the business. These actively set teams against each other, as far as I can see based on local protectionism and distrust. It is great to see that this issue is recognised at the very top and that something is being done about it. This won’t be easy though, changing an entrenched culture takes a lot of time and effort. I agree that the Country needs The Co-op more now than for a long time, the social injustices that drove the original Pioneers are returning and communities are suffering, the Co-op way can and will make a difference, I am very proud to say I am Co-op. sounds like you work in supply chain! You talked several times about the need to “remove the treacle” from the organisation. You didn’t give any examples though. How do you define “treacle” ? How do you see the Co-op overcoming all the inbuilt natural tendencies of large organisations to become bureaucratic and slow-paced? Will you be delegating more responsibilities? How will governance processes change to reflect that? Currently decision-making is largely centralised at a very senior level. Steve, No message is more important than this one of yours to set the direction for the next few years at the Co-op. I’m really pleased you’ve asked for feedback. I hope you will take the opportunity to make it a dialogue and not just one-way where you don’t respond to the comments people make. Will you do that for us Steve ?